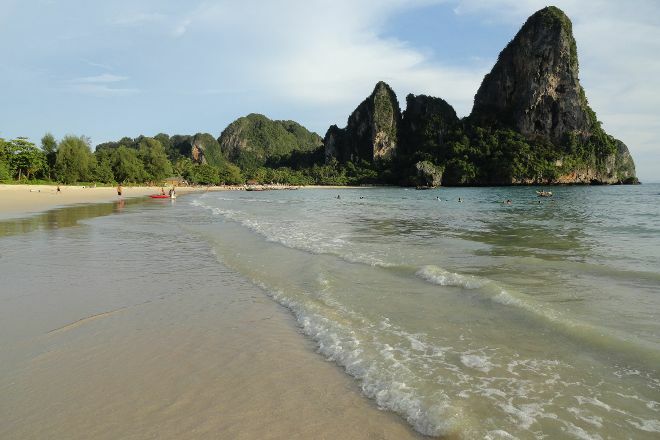 Take a dip into the calm waters at Railay Beach, an isolated strip of sand accessible only by boat. The beach especially attracts rock climbers eager to tackle the limestone cliffs that frame it, with some 700 climbing trails in the surrounding area. Whether or not you scramble up the cliff face you'll enjoy the spot's relaxed atmosphere, clean sand, and clear waters. Onsite restaurants and other amenities cater to a wide range of tastes. The impressive cliffs of the coast provide excellent photo opportunities, and the isolated nature of the beach means you get unimpeded shots of some of Thailand's best coastal landscape. Plan your visit to Railay Beach and a wealth of other attractions, well-known and undiscovered, using our Railay Beach trip itinerary planner . 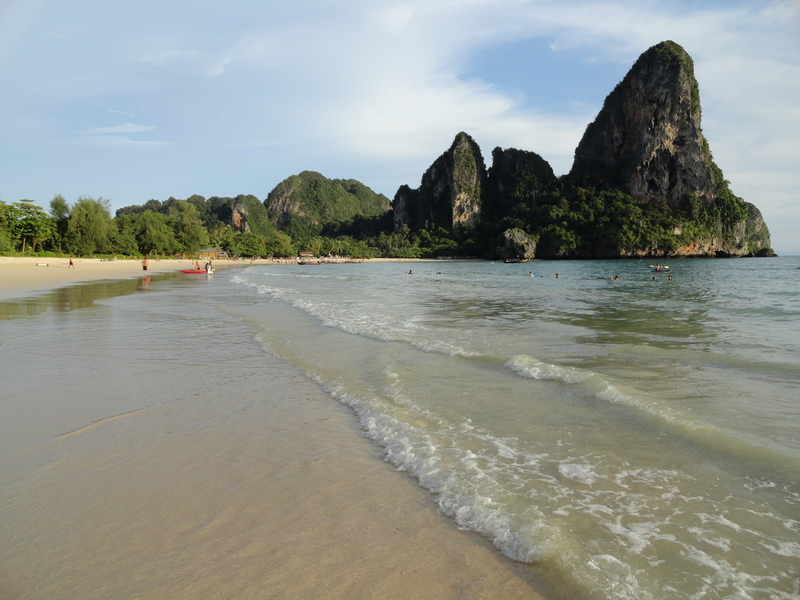 Railay Beach is lovely. We have lived near the beach for a week and have storkost us. Is recommended. Not great for snorkelling, but kayaks (free).